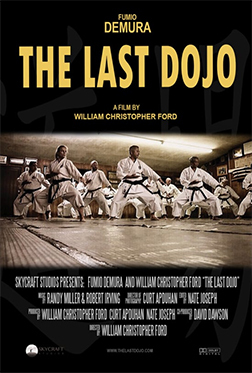 Burbank, CA – The latest documentary directed by William Christopher Ford of Skycraft Studios entitled “The Last Dojo,” debuted recently at the Martial Arts History Museum in Burbank with rave reviews. 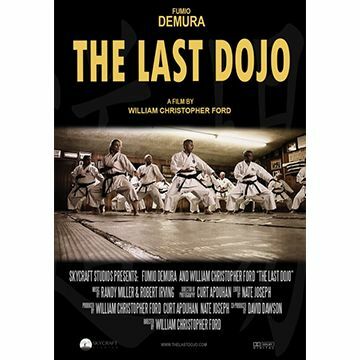 A 20-minute short film, Dojo reflects the emotions of one of karate’s greatest pioneers, Fumio Demura, as he shares the deeper meaning of martial arts and reminisces about his beloved dojo for the last time. According to Ford, this is a love letter showing his respect for Demura and the impact he made on not only the world, but to Ford personally. The documentary, which was shot on location in Santa Ana, CA, is a wonderful homage to a 50-year-old historic karate dojo of a man who overcame prejudice and life-threatening illness to inspire generations across the world to study Japanese karate only to lose his dojo to eminent domain. Demura, who was inducted into the Martial Arts History Museum’s Hall of Fame in 1999, played a key role in introducing Japanese karate to the Western world. He gained a great deal of notoriety from the Karate Kid film series where he not only doubled for star Pat Morita in all the martial arts action scenes, but much of Morita’s character was patterned off Demura. Demura’s karate dojo has been a unique part of California history as the greatest pioneers of the martial arts have trained there including Chuck Norris, Bruce Lee and many more. It has been a place that became the focal point of the martial arts for decades and the greatest of the greatest paid their respects by visiting Demura at his dojo. Filled with pictures of Hollywood stars who spent a great time at the dojo learning martial arts skills for their films, it was a place of honor and respect. “When we look at the history of the martial arts in America, Fumio Demura is one of those who are at the top of that list and his dojo was part of America’s legacy. It was sad to see such an historic part of American history be lost by eminent domain from the city,” says museum president Michael Matsuda. 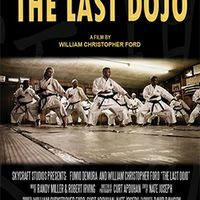 The Last Dojo is now available for downloading at TheLastDojo.com. For information about the museum, visit MAmuseum.com.